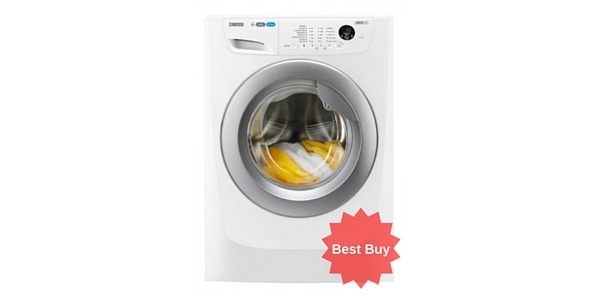 Home Our Blog Which Are The Best Washer Dryers? Given the choice, most people would probably buy separate machines for washing and drying their laundry. However, the living circumstances of many of us will mean that this is just not an option and washer/dryer combo machines offer a good alternative. These machines can wash and dry your clothes all in the same unit, and the more modern models do a pretty good job at both tasks. 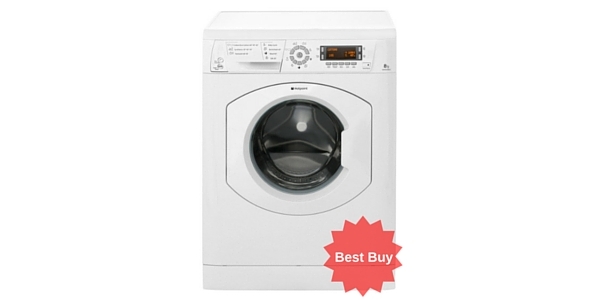 If you are looking to purchase a washer dryer, then you have a great selection of products to choose from. 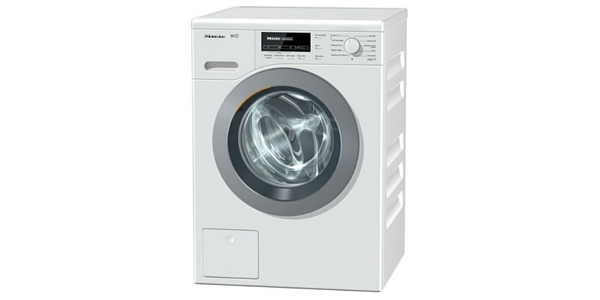 Almost every major manufacturer makes at least of few washer dryers, and there are units that are priced for every budget (ranging from about £300 up to about £1,200 for a Miele washing machine combo). In this article, we are going to look at a few of the points that are important for potential buyers, and then we are going to provide a few recommendations for the best washer dryers that are currently available. 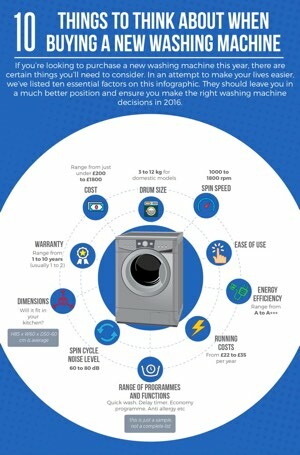 Why buy a Washer Dryer? Almost any appliance expert is going to tell you that buying separate units for washing and drying is better. With each machine being dedicated to its task, the different units can be engineered specifically for the job they need to do. It doesn’t take a genius to figure out that the technologies involved in washing and drying are pretty different. Space Saving – The big advantage, and the number one reason that people buy these combo machines, is that they are space saving by design. Many homes do not have room for two separate units, so a washer dryer combo allows the homeowner to get both functions in a space that can only fit one machine. This could be the kitchen or a storage cupboard or utility room. Up-Front Cost – As an additional option, the combination machines tend to cost less than buying separate machines. For many, when they consider the ability to save space combined with the cost savings, it makes the washer dryer combo a great option. Running Cost – One point to consider though when it comes to saving money on the cost of the machines is energy efficiency. The combination machines tend to be less energy efficient than separate units. While you may save money on the initial purchase, it is going to cost you more on the electricity bill in the longer term (but probably not a life-changing amount). If you buy your machine from a site like ao.com (who we recommend) you’ll find they list energy ratings and annual running cost of each machine as part of the product details. You can compare and contrast with dedicated washing machines etc to be sure you’re comfortable with the ongoing costs before you buy. All of that being said, if you do not have the space for two machines, getting a combo model will be more convenient than just getting a washer. When you consider the amount of time it takes clothes to dry naturally and the issues that can come with poor weather, most people will take the compromise over having no dryer at all. You can find out more in our washer dryer buying guide here. When you shop for a washer dryer, you want to do more than just look for a machine that can do both jobs. There are some design elements that can make a big difference and you want to consider the types of features that come with the machine. The first big consideration is the difference between the washing capacity and the drying capacity. As you know, both functions occur in the same drum, but this does not mean that both functions can handle the same load capacity. With a washer dryer, you are always going to be able to wash more than you will be able to dry. For effective drying, the clothes need more room to move, and the air needs room to circulate. This means that you are basically going to have to approach your laundry in one of two ways. You could always just load the machine to the (lower) drying capacity so you can leave the machine to run its full cycle, or you can load it the full washing capacity, and remove some clothes to hang dry before the drying cycle starts. Drum sizes range from 6kg all the way up to 13kg for this Hoover washer dryer and obviously, the larger the drum size you opt for, the less of an issue the differing capacities will be. That said, if you choose a machine that is significantly larger than you actually need you’ll end up spending more than you need to on electricity and water. Another point that you are going to want to consider is whether you want an integrated washer dryer or one that is freestanding. In this article, we are going to focus on freestanding washer dryers. While the integrated models are nice aesthetically and can fit with the design of the kitchen, the freestanding models are a little more convenient because they are easier to install and the buyer will have more placement options for positioning them in the home. If you’re interested in integrated washer dryers check out our integrated appliance buying guide here as well as this post to see our recommended integrated washer dryers. Modern washer dryer spin speeds range from 1200rpm (revolutions per minute) to 1600rpm. You’ll tend to pay more for a model with a fast spin but there are benefits to doing so. If the machine has a fast spin of say 1400 – 1600rpm it will expel more water from the wash load during the spin cycle(s). This means there will be less moisture remaining in the clothes when the drying cycle kicks in, which in turn means your laundry could be ready sooner and the whole process could be more energy efficient (as you’ll need to apply less heat to get the clothes dry). As a smart shopper, you are also going to want to look at the different features and programs that come with the machine. Even with the combination models, you can get a nice assortment of programs for both washing and drying, and you can still find many of your favourite features. Take the time to consider these points to ensure that you are getting a machine that will work well for your lifestyle. Also check out the energy ratings of each machine to ensure the one you choose is as energy efficient as possible – this will save you money in the long term as well as being good for the planet (if Donald Trump hasn’t already destroyed it by the time you read this). To find out more check out our buying guide here. 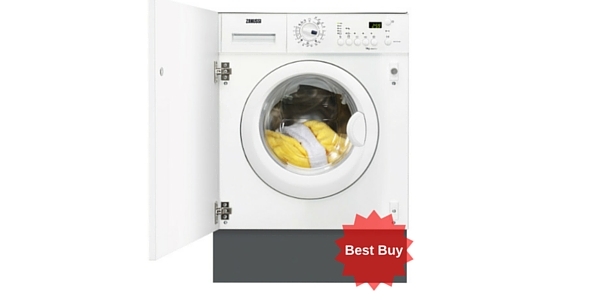 Why Are Washer Dryer Buyer Reviews Often Negative? Before you buy your washer dryer we strongly recommend you read some owner/buyer reviews on retailers’ sites. One thing to bear in mind is that washer dryers never tend to score as highly with users as regular washing machines so you won’t necessarily see the row of ‘5 star’ reviews that you might expect or hope for. Why is this? The reason, in our humble opinion, is often that buyers don’t use the machines as suggested by the manufacturers. In particular they don’t notice the different capacities for washing and drying as mentioned above. What this means is, if you put in too large a load, the drying performance will, most likely, be less than perfect. This is just a limitation of this type of machine that you need to understand and work with. 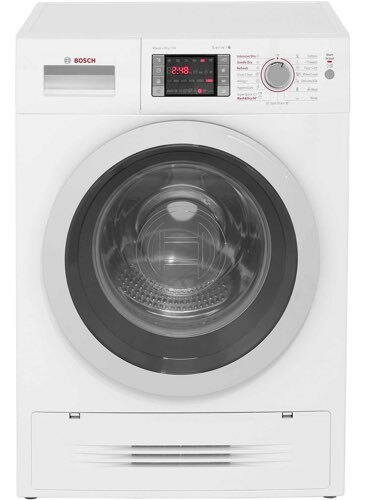 You can read more about this in our Washer Dryer Buying Guide here. And so, without further ado, below you’ll find a list of the washer dryers that we would consider to be ‘Best Buys’. Please bear in mind that these machines can vary significantly in price, so not all will be appropriate for everyones’ budget. As a general rule, as with any major appliance purchase, you get what you pay for, but that doesn’t mean that the cheaper models are no good. It simply means they probably won’t perform quite as well as the top-of-the-range machines or offer as many features and functions. We highly recommend reading existing owners reviews and comments on your chosen retailer’s site before you make your final decision. Under each machine you’ll find a list of the latest prices and deals being offered by major online retailers including John Lewis, Currys, ao.com, Argos, Appliances Direct, B&Q, Boots Kitchen Appliances, Very, Co-op Electrical Shop and we’re hoping to add Tesco Direct soon. These retailers all offer a wide range of large kitchen appliances including washing machines, washer dryers, tumble dryers, fridge freezers and chest freezers as as well as smaller electrical items (vacuum cleaner, steam cleaners etc) so you should find one that suits your budget and delivery requirements. Our prices are updated daily (at 5am) so should always be up-to-date but t’s always worth clicking through to the sites that interest you however to double-check the very latest offers and discounts before you make up your mind, as prices do tend to fluctuate as retailers compete to offer the best deals. One other thing to bear in mind when you compare prices for large kitchen appliances is that you also need to take into account any additional costs that may apply, for example delivery charges, installation costs and recycling/removal of old units. 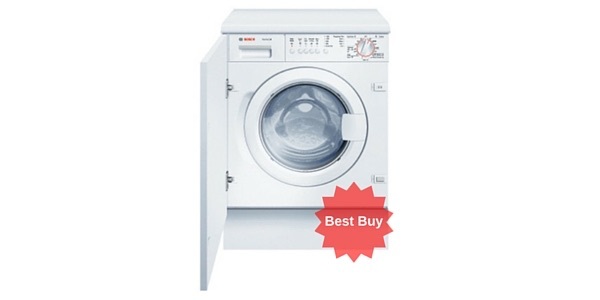 If you have the budget, the Bosch Logixx WVH28422GB is a top quality appliance. It provides some of the finest washing capabilities that you will find, and it comes with a good selection of features and options. For washing alone, this is a machine with a 7kg capacity. 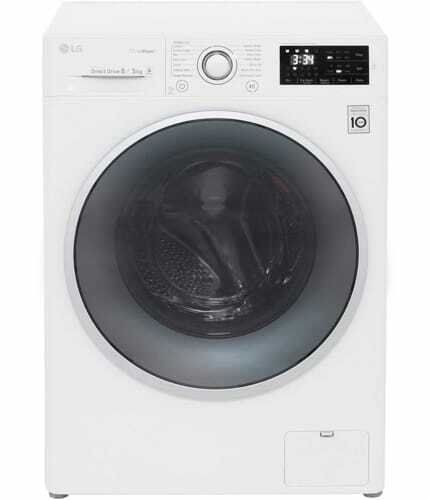 It has a nice wide door that makes it easy to load and it comes with versatile washing features. You get a total of 11 programs for washing, including some nice options like silk, wool, hygiene and allergy and quick wash. In addition to that, you also have options to control the spin speed and the water temperature. As a dryer, this machine can handle up to 4kg of laundry. 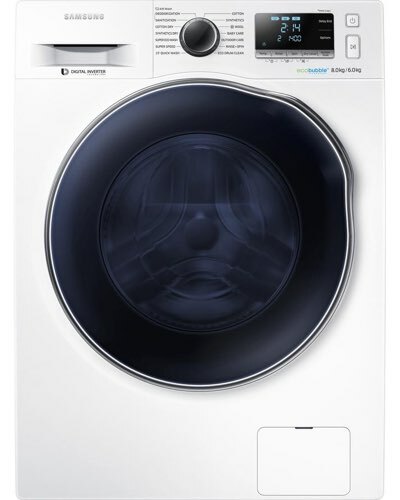 It uses sensor drying, and you have options for intensive, gentle and refresh. For the most part, it does perform well on drying, but there are times that the sensors might shut the machine off early. 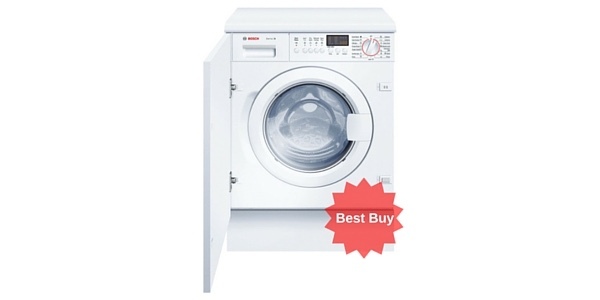 You can read 25 customer reviews of this machine at ao.com here – their buyers rate this Bosch washer dryer 4.9/5 which is really very impressive for a combo! It may be a little on the pricey side, but the SAMSUNG ecobubble WD80J6410AW offers exceptional value for money. 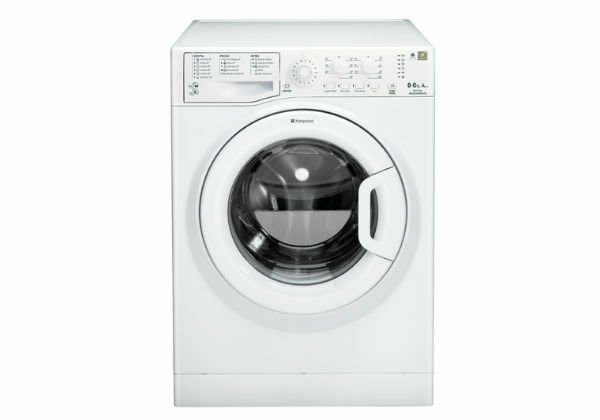 It is a very efficient machine and has a wash load capacity of 8kg and a drying capacity of 6kg (which is pretty big for a combo). Additionally, it comes with a nice selection of features and options for a machine that can handle the laundry needs of just about any home. This machine is a real standout in its washing abilities. It has a wide selection of wash cycles, with special programs for things like sanitation, baby clothes and delicates. In addition to that, it has a quick wash and special features for stain removal (great for sports clothes etc). For drying, this is one of the better machines. 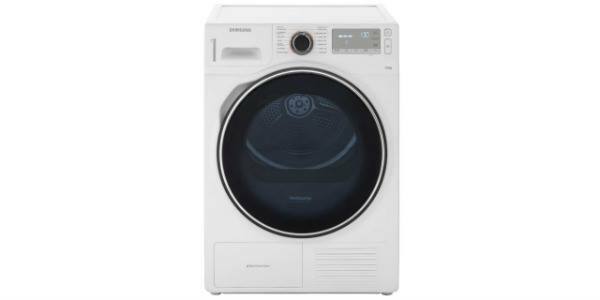 First, you can dry up to 6kg of laundry, and that comes pretty close to the 8kg wash capacity, so the difference is not as much as it is with many of the other machines. Additionally, it works on a sensor dry system and you have three different dryness levels that you can choose from. You can read 137 Currys buyer reviews here. Who’s offering the cheapest price for the Samsung WD80J6410AW? With the LG FH4U2TDH1N, you get a washer dryer that comes with some of the best features, and it provides performance that is second to none. 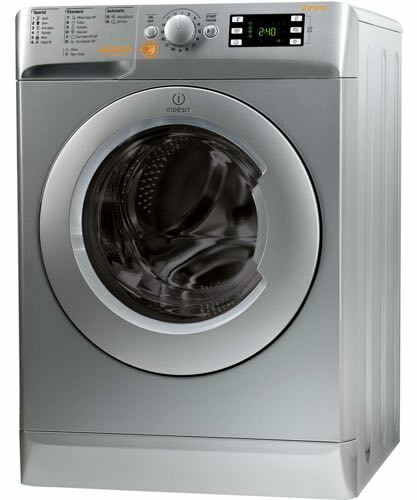 With this model, you get an 8kg washing capacity, and it has a drying load capacity of 5kg. It comes with LG’s 6-motion direct drive drum for excellent cleaning capabilities, and it has steam features that can be good for things like allergy protection. This LG washer dryer comes with a selection of programs that can be good for all of your basic washing needs, and a bit more. Along with your standard programs, this model has options for allergy care, steam refresh, sports clothes, duvet, stain removal and more. In addition to that, this model connects with mobile phones, and the user can download special cycles to add to the selection. The drying on this machine is also quite impressive. It has sensor and timed drying options, so the user can select their preference, and it has special drying options like iron dry, eco and low temperature drying. Click here to read what 8 ao.com buyers had to say about this model – they rate it 4.8 out of 5! 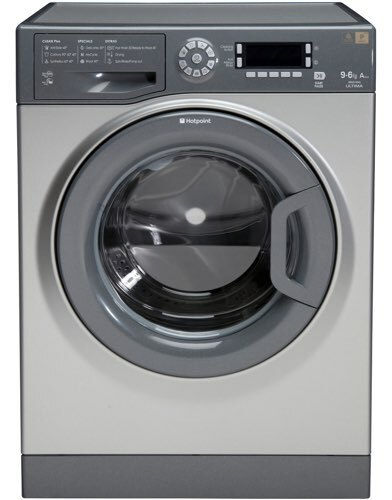 Considering the wide selection of features and programmes, the Hotpoint Ultima WDUD9640G is one of the most versatile machines that you will find. The buyer gets great cleaning capabilities with a broad array of options that can make it a solid option for just about any home. As a washing machine, you get a 9kg load capacity for fitting a lot of laundry in a single load. The wash performance is impressive, and you have a total of 16 programmes to choose from. The cycle selections include one user preset and special cycles like anti-stain and anti-allergy. For drying, the WDUD9640G performs well, but you might occasionally need to give clothes some extra drying when the machine stops. The machine has a 6kg drying capacity and it uses sensor drying with options like cottons, synthetics and wool. Read what 578 Currys buyers had to say about this model here (they rate it 8.3 out of 10). 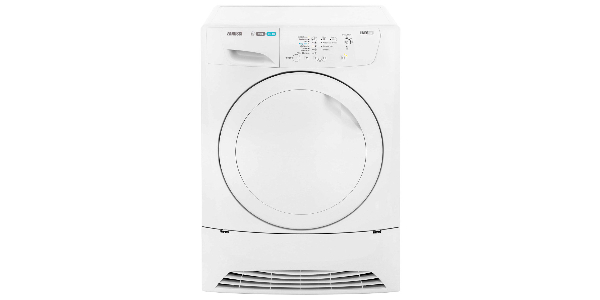 The Indesit Innex XWDE861480XS is a more reasonably priced option for people that are looking to purchase a combo and offers great value for money. This machine has a wash load capacity of up to 8kg and it can dry as much as 6kg of clothes at one time. The XWDE861480XS performs well as a washing machine. 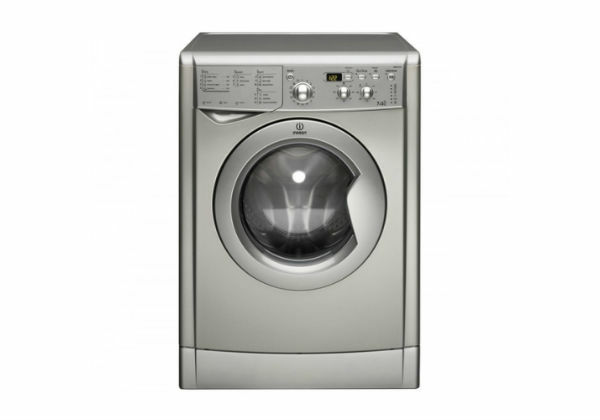 It has an attractive silver / stainless steel appearance and comes with 14 wash cycles for a nice variety of cleaning capabilities. Along with all of the standard wash settings, it also has cycles for sportswear, anti-odour and wool, plus you can make adjustments to the temperature and spin speed. As a dryer, this machine generally works well, but buyers have reported some niggles. It has sensor drying, and you can select the level of dryness that you want. However, some owners have reported that sometimes the sensor stops the machine before the clothes are fully dry. This could of course be a result of over-loading and is probably a very manageable issue if this machine suits your budget. 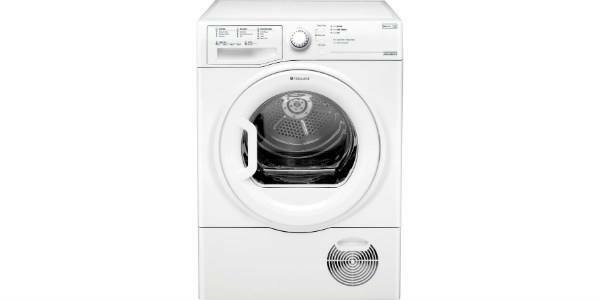 Who’s got the best deal on the Indesit XWDE861480XS? Shopping for a washer dryer can be a bit confusing. Instead of looking at a machine that does just one or the other, you have to consider the features and performance of both functions. The models above include some of the best in a variety of price ranges, but there are other probably machines on the market that provide comparable performance so we recommend shopping around. When you shop for your washer dryer, it’s important to look closely at the features and the design of the machine. You not only want to make sure that you are getting good performance and value for money, but also that you’re buying an appliance that will last a long time and provide years of faithful service. Find out more in our washer dryer buying guide here. Good luck finding the right option for you and please feel free to get in touch if you need further help or advice.